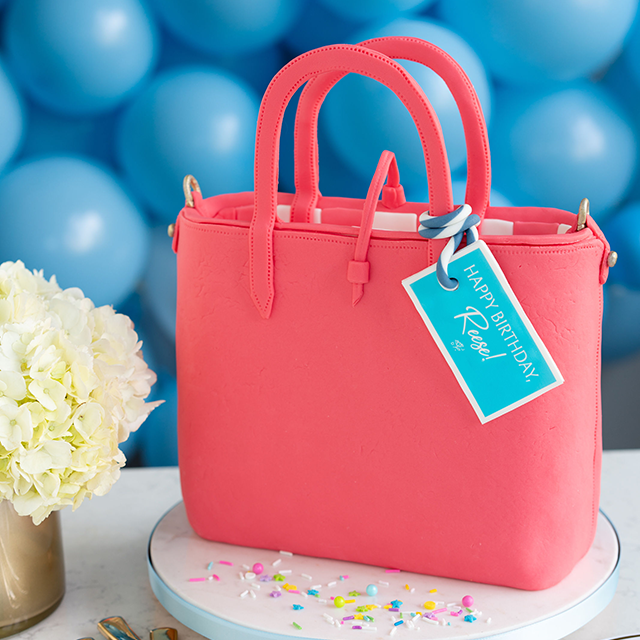 When we’re craving ridiculously yummy, over-the-top deliciousness, our go-to has become Beth Branch of Bethcakes. 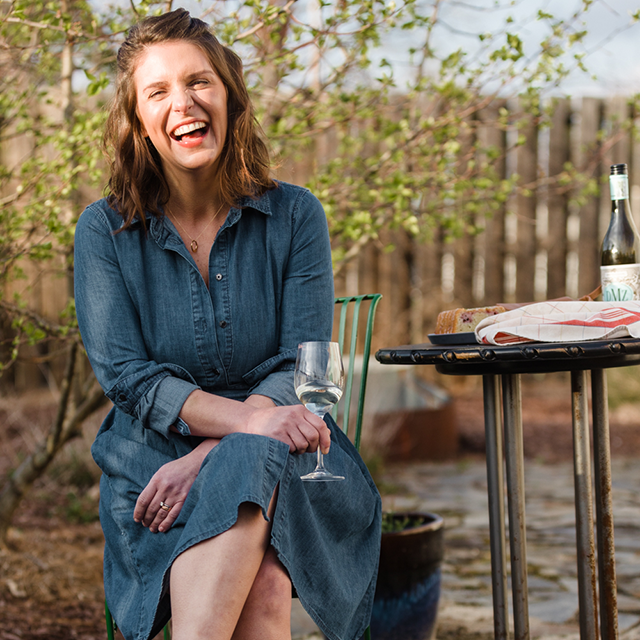 The Birmingham-based blogger’s lemon bar recipe has remained our most popular post since the spring, and it’s no wonder: Beth has a knack for developing recipes that both look and taste to die for. So when it came time to launch our Draper James Tailgate Tabletop Collection, we had to see what the University of Alabama grad would come up with to serve with it. Her response: two sweet-and-salty snacks we can’t get enough of. 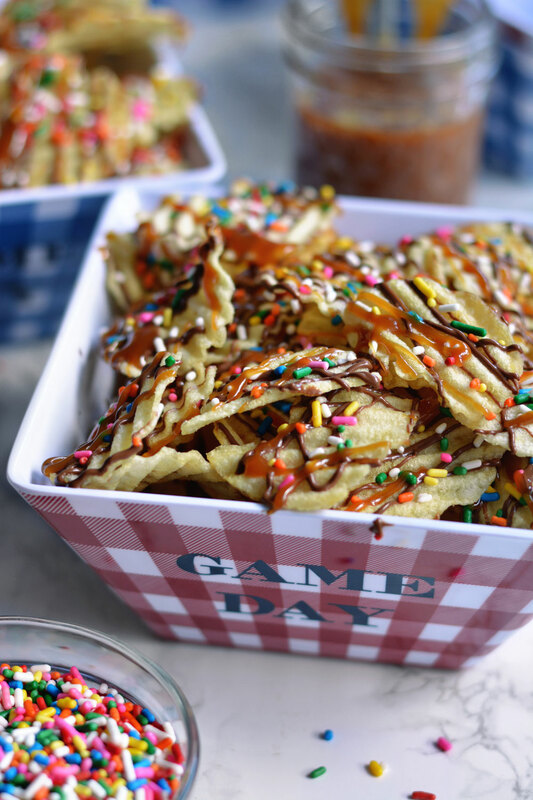 “A killer tailgating menu always includes snacks, in case you need to munch on something when games get stressful,” says Beth Branch of Bethcakes, who created these Chocolate & Salted Caramel Potato Chips just for us and served them on our Game Day Small Snack Bowl Set. Click here to get printable cards for Beth’s recipes for Whiskey Bacon Brownies and Chocolate & Salted Caramel Potato Chips, and read on for more. 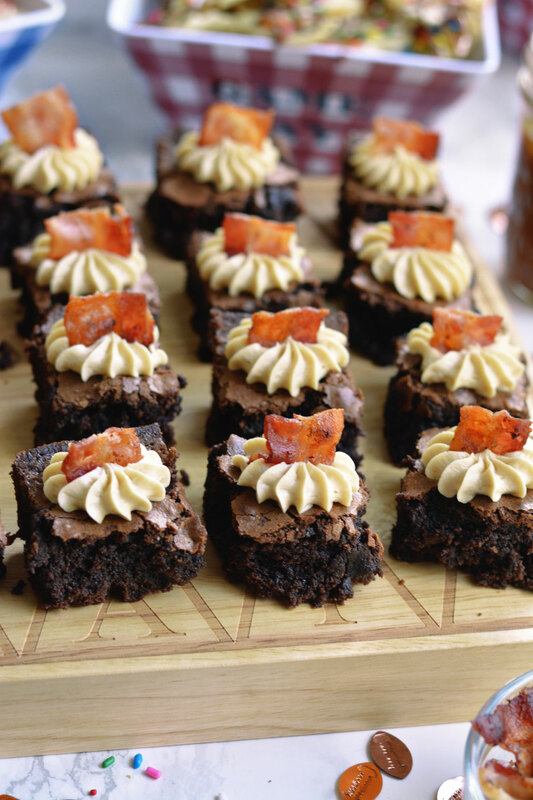 Served on the Game Day Cheese Board from our Draper James Tailgate Collection, Beth’s Whiskey Bacon Brownies combine three of our favorite indulgences into one delicious dessert. 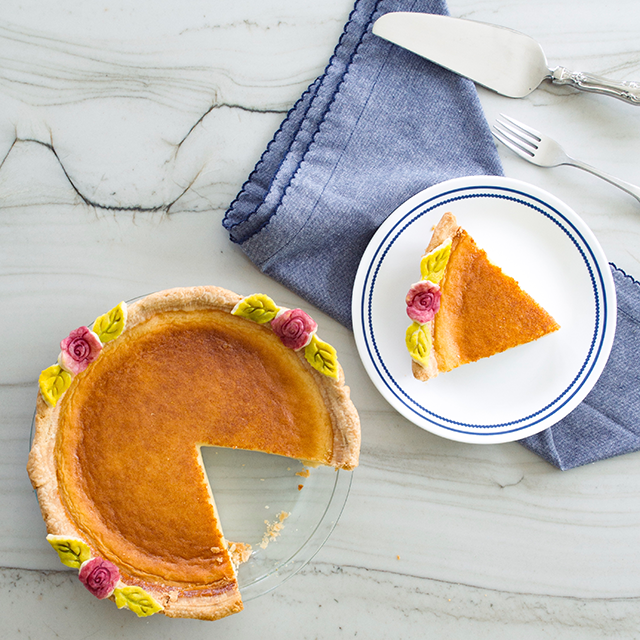 Find the recipe below and on our printable recipe cards here. 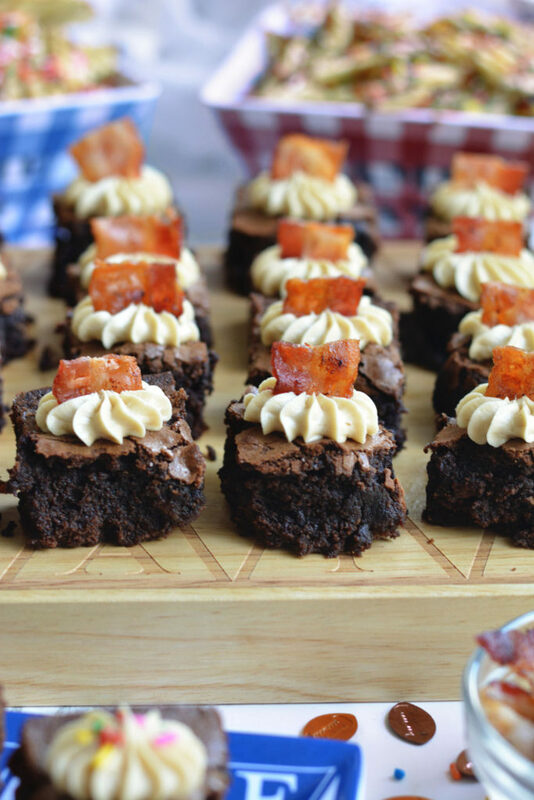 What makes your Whiskey Bacon Brownies and Chocolate & Salted Caramel Potato Chips perfect for a tailgate? These recipes are perfect for tailgating because they combine sweet and salty in the best way possible! 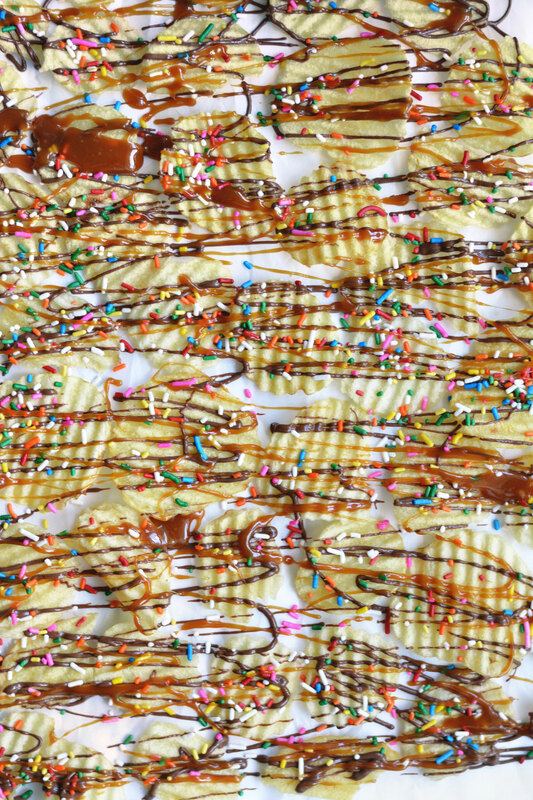 Chocolate-dipped potato chips have been all the rage recently, as has bacon in desserts, so why not serve them up at your tailgates this football season? Any rules of thumb you can share regarding planning a tailgate menu? A killer tailgating menu always includes snacks, in case you need to munch on something when games get stressful. A fun cocktail is always necessary to get the party going. Main courses in the South usually involve grilled burgers and dogs or barbecue. Then, if you’re at my house, plenty of sweets for celebrating a victory! Preheat oven to 350°F. Line a 9×9-inch baking dish with foil and mist with cooking spray. Place butter in a microwave-safe bowl and microwave in 30-second intervals until melted. Transfer melted butter and ½ cup chocolate chips to a medium-sized bowl and whisk until the chocolate melts completely. Next, whisk in sugar, cocoa powder, whiskey, cinnamon, and vanilla. Add eggs and whisk until incorporated. Carefully whisk in flour, making sure to mix until just combined. Fold ½ cup chocolate chips and chopped bacon into brownie batter. (Reserve remaining 4 slices of bacon for garnish.) Pour batter into the prepared pan and bake for 35 to 40 minutes, or until a toothpick inserted into the center comes out clean. Let brownies cool completely before cutting into squares and topping with frosting (recipe below). Cream butter on medium speed with an electric mixer. Add caramel and mix until smooth. Add vanilla and powdered sugar; mix until combined. After cutting cooled brownies into squares, pipe or dollop frosting onto each brownie. Garnish each with a small piece of bacon. Melt chocolate chips according to package directions. Spread half of chips (discarding broken pieces, if desired) on parchment paper. Drizzle with melted chocolate; sprinkle with sprinkles. Drizzle with cooled caramel sauce (recipe below). Let chocolate and caramel harden before transferring chips to chip bowls. Thanks for sharing Beth’s talents and recipes! We’re lucky to have her in Birmingham.